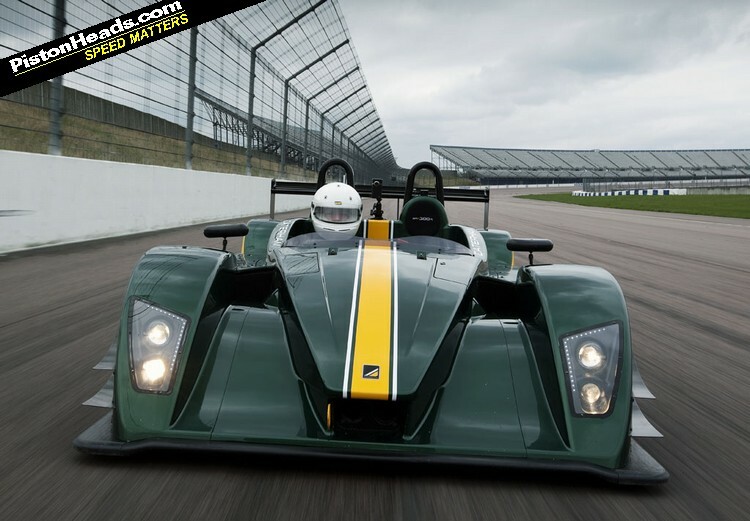 To begin with, a little light maths: the new Caterham SP/300.R weighs around 545kg, and gives its driver 305hp to play with. That equates to 560hp per tonne. 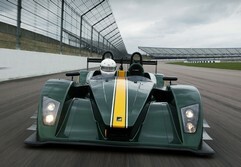 By way of comparison, an LMP2-spec Le Mans racer musters around 500hp per tonne. In short, if you plonked an SP300 on the grid at La Sarthe (hypothetically speaking - it's not been homologated for any FIA-spec racing), it would be able to mix it with the second rung of sports prototypes quite comfortably. But the racing car comparison goes deeper than just numbers and the obvious endurance racer overtones to the bodywork. Lift the engine cover off and you'll see the suspension bolted straight onto the transmission casing. 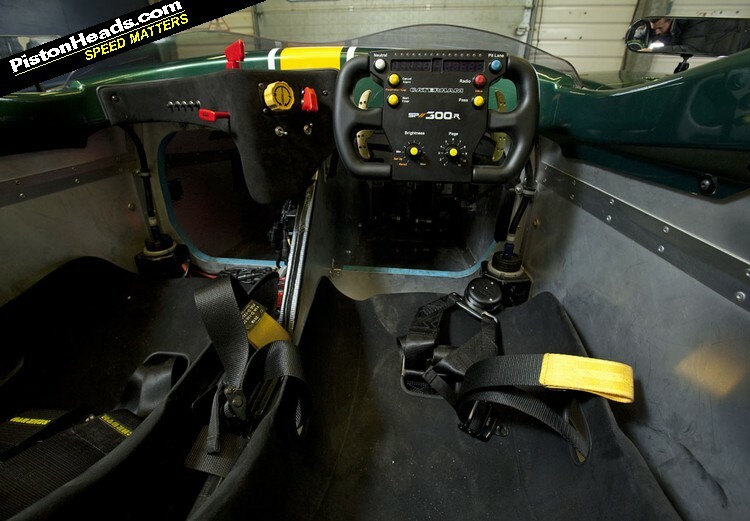 And drop yourself into the steeply reclined driving seat and you'll see, nestling behind the squared-off wheel, a pair of paddles that operate a Hewland FTR six-speed sequential gearbox, as also found in F3 cars. It's all pretty intimidating and, added to my preconceptions about the snappiness of mid-engined lightweights with large amounts of aero grip, has me genuinely apprehensive at the prospect of guiding it around a track that features an unforgiving concrete wall at the edge of its fastest turn. 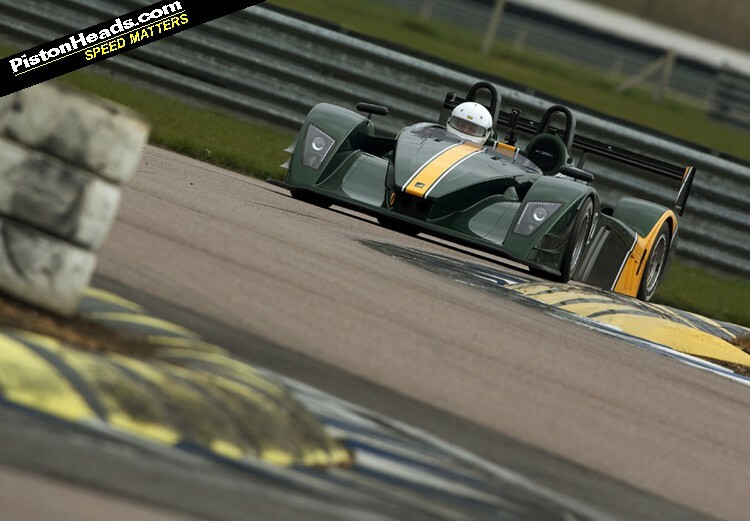 Especially considering Caterham has only two of these things to play with at the moment, and it'll only be building 25 a year even when production is in full swing. The thing is, though, as soon as you look past the racing car bravado, you begin to get an inkling that the SP300 might not be quite as scary as it seems. There are little clues to this even before you move off: for all its race-tech looks, the cabin is actually a masterpiece of simplicity, with only a starter toggle and a basic brake bias knob to add to the compulsory kill-switch and fire extinguisher lever. Even the steering wheel knobs, Caterham coyly admits, are there more for the look of the thing - the right-hand of the two used for nothing more complex than adjusting the brightness on the digital readouts for water temperature and oil pressure. The fit and finish of the SP300 is another indication that this is no highly strung diva, designed to last just long enough to finish a race. Even though this is a development hack, there is a level of build quality to the car that suggests it might last longer than the run into parc ferme before it needs fettling. OK, so it's not going to pass muster with the quality control guys at McLaren, but it feels solid enough to make the claims of low-maintenance that Caterham makes for it - you'll get an entire season of racing or track days before the engine will need a rebuild, they say - sound entirely believable. Once on the move - and against all expectations - the SP300 proves itself to be a thoroughly approachable car. The supercharger means there's ample poke even if you find yourself a little too far down the rev range for comfort, while at other end of the rev scale the gearbox will save your blushes (and your engine) by refusing to downshift, should you get too enthusiastic with your engine braking. It's also oh-my-word quick. this is a car that will hit 60mph from rest in 2.88 seconds, top 180mph, produce 450kg of downforce at 155mph and can lap the Brands Hatch Indy circuit in 44 seconds. 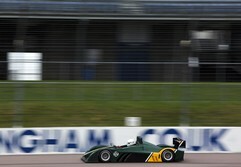 Four seconds faster than a BTCC car. Statistics will tell you only half the story, however. Numbers and figures simply cannot prepare you for the way this thing goes, turns, and grips. Especially when you're going fast enough for that aero package to start dialling up the downforce. You end up feeling as though you'd be spat out of the cockpit if it weren't for the determined grip of the four-point harness. I'm not exactly the picture of fitness, but I don't mind admitting that, after just 10 laps or so, I was thoroughly knackered. Still, for all the grip and go, what's perhaps most impressive is what happens if you actually overstep those dynamic limits. 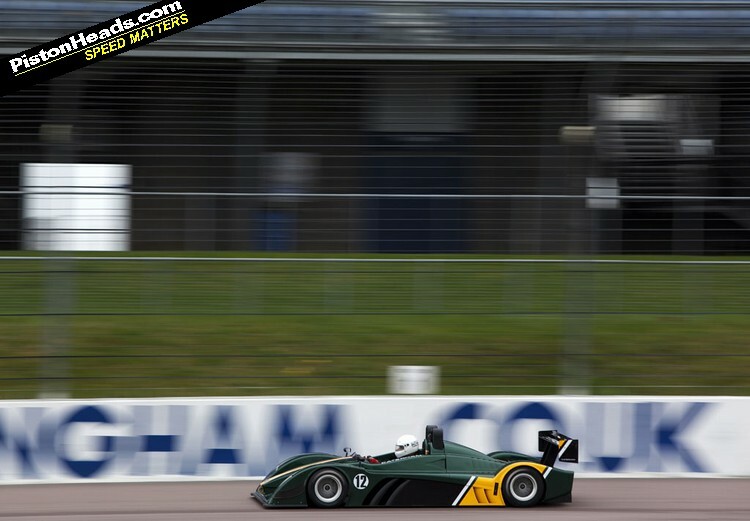 In a car with more than a smidge of downforce, slick tyres, a mid-mounted engine and a ham-fisted Yours Truly behind the wheel, you might expect that taking liberties into corners would result in an unceremonious exit from the Tarmac. But this is not the case. Take a look at the video below, and you'll see that I made more than the odd ill-advised braking/turning decision during my time in the car and yet - despite being on the lock stops in the wrong direction at one point - the SP300 forgave my incompetence every time. 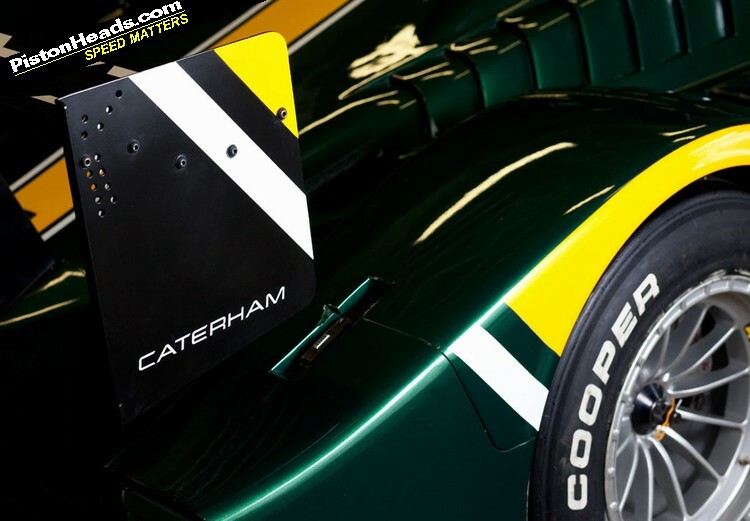 "We could have made the car faster," says Caterham motorsport manager Simon Lambert, "but it would have been too intimidating. 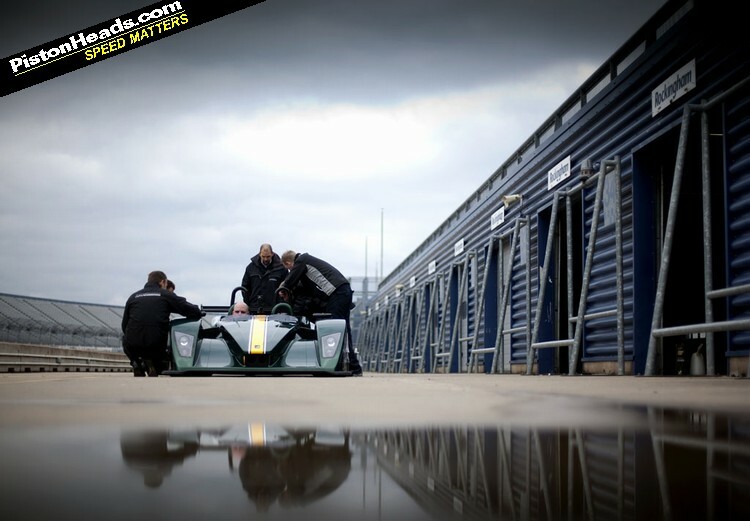 It was much more important to us for it to feel like a Caterham. We want it to move around, for you to be able to play with lift-off and power oversteer. But you can't get that from this sort of car by fine-tuning - you have to design it in." 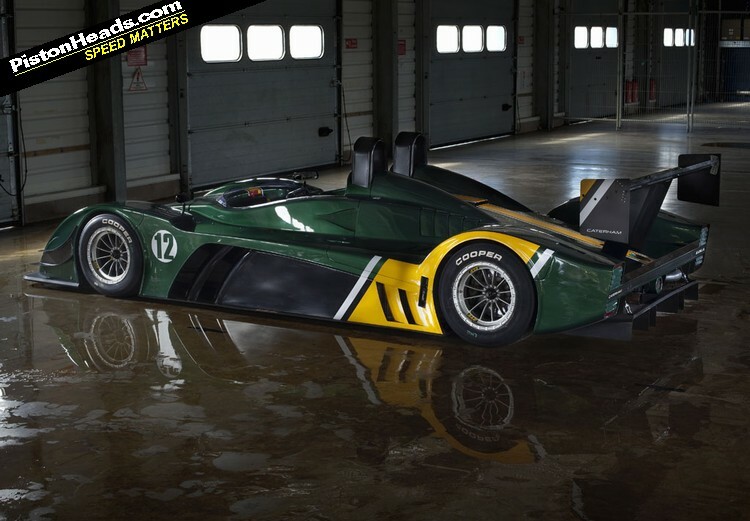 Caterham has taken that task very seriously, too. Although the car was conceived as a development of a vehicle that Lola had designed for an American race school, it actually shares only its suspension hard points and basic body geometry with that car. 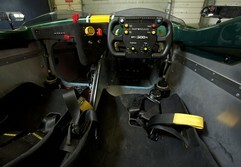 It is in short, a ground-up design, with Caterham sourcing nothing from Lola except the centre-locking wheel nuts. They've even had to effectively retrain their development drivers who, before the SP300, had only worked on front-engined cars. 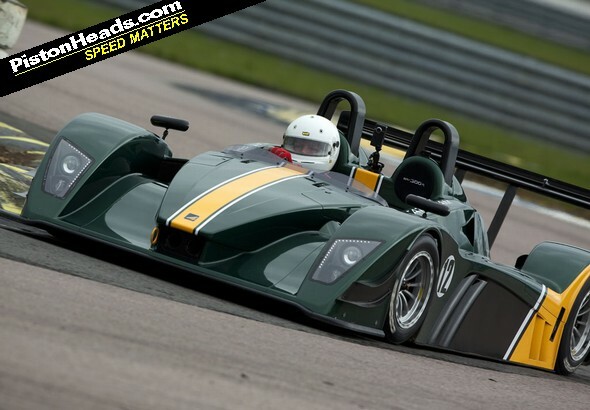 The result, reckons Caterham, is a sports prototype track car whose watchword is progressiveness, smoothing the transmission between going and stopping, between grip and no grip. If my kack-handed wheel-twirlings are anything to go by, they've scored a direct hit on that count. What a machine. Suddenly, as alluded to, a GT3 doesn't look quite so hot - one of these, a Brian James trailer and a decent Range Rover would come in at the same cost, yet do everything better. And how many consumables would you get through in the Porsche?? Bye Bye Lotus! 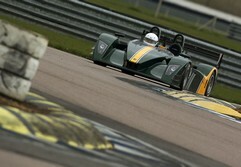 Hello Caterham! Slicks are pretty pricey, but I reckon you'd get a season of track days/races out of 2-3 sets of them at £275/set. What's a set of Michelin Pilot sports run on a GT3 RS? Black Circles reckons on £500/rear and £350/front fitted for the Cups. Fuel won't be much different, engine rebuild is the biggie at the end of the year, but I bet servicing on the RS isn't cheap either. I think it is great to see Caterham evolving. 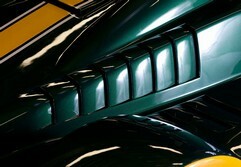 I never understood how their last full bodied car the 21 seemed to be an economic failure while the Elise was booming.